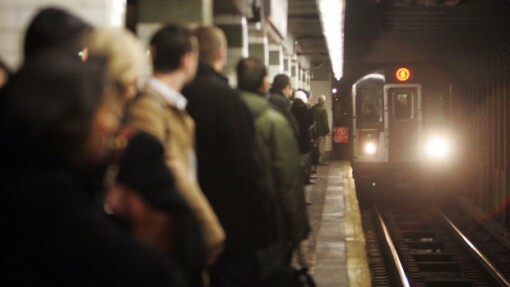 Why Are Asian immigrants Being Pushed Onto Subway Tracks? I don’t know what number constitutes a pattern, but after a 61-year Chinese immigrant was pushed onto the tracks of the oncoming D train in The Bronx. Wai Kuen Kwok became the fourth Asian immigrant that has been shoved onto the city’s subway tracks. That’s significant because in the last two years there have only been four people that have been purposely pushed into the subway tracks. The fact that they’ve all been Asian immigrants can’t be a coincidence, can it? Yesterday, the 61-year old from Hong Kong died after he was struck by the D train. He was pushed from behind onto the tracks as he and his wife were waiting for the train to take them to Chinatown. No words were exchanged between the attacker and the attacked — just a random, senseless loss of life. It’s been a year since the last person that was physically forced onto the tracks. In November 2013 Shou Kuan Lin, a 72-year old former garment factory worker, was pushed in front of the A train in Harlem. Prior to that, Sunando Sen, a 36-year old Bangladeshi was thrown on the 7 train’s tracks in Queens in December 2012. Earlier in that same month in 2012, Ki Suk Han from South Korea, was shoved onto the tracks of the Q train on 49th street in Manhattan. Three of the four have been fatal. Only Lin survived, but is brain dead and on life support. Is There a Link Between New York and San Francisco? This pattern reminds me of the attacks that happened in San Francisco back in 2010, when a spate of older Asian immigrants were being beaten and killed on the streets by younger African-American teens. There’s no doubt that Asians were being targeted in San Francisco, but whether that’s what’s happening in New York is another question. Though there’s no direct lines tying the East coast attacks with the West coast attacks — there are indirect ones that make Asians likelier targets for violence. We’re perceived as passive. Whether that stereotype has truth or not, it makes us eaiser marks to attackers that buy into it. Add a language barrier to accentuate our “otherness” then pick someone that looks 55 years old (or older) and the Asian immigrant is the perfect victim. This is weird. Are we the only 2 who notice this pattern? Apparently the nypd and media haven’t picked up on this obvious train(pun not intended) of coincidences. Hey — the New York Post (linked in article) noticed it too, but it doesn’t seem to be picked up by the traditional media for whatever reasons. It certainly needs some more publicity. Please share out.